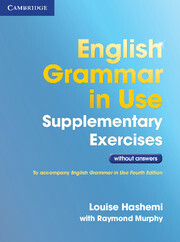 This new edition has been thoroughly updated and revised to accompany the fourth edition of English Grammar in Use. The book contains 200 varied exercises to provide students with extra practice of the grammar they have studied. This 'without answers' version is ideal for reinforcement work in the classroom. A version with answers is available separately.